Discover vibrant Kuala Lumpur: Malaysia National Monument, Merdeka Square, the famous Petronas Twin Towers and many interesting places. Visit Malacca’s heritage sites: Portuguese fort, Dutch Square, Jonker Street and Baba Nyonya museum for a glimpse into the town’s fascinating past. 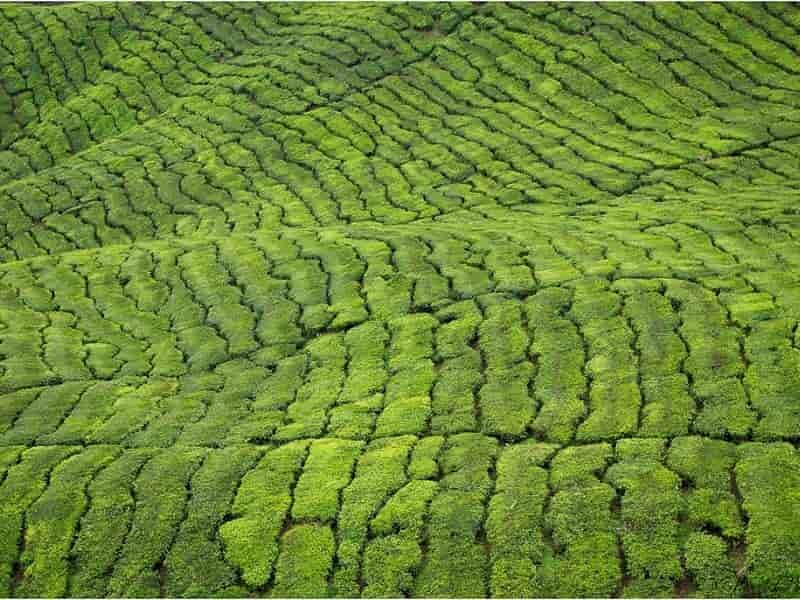 Relax in the tea highland of Cameron, enjoy the beautiful surrounding landscape of the highland. Explore Banding Island, spot the world’s biggest flower, swim in waterfalls and explore the jungle. 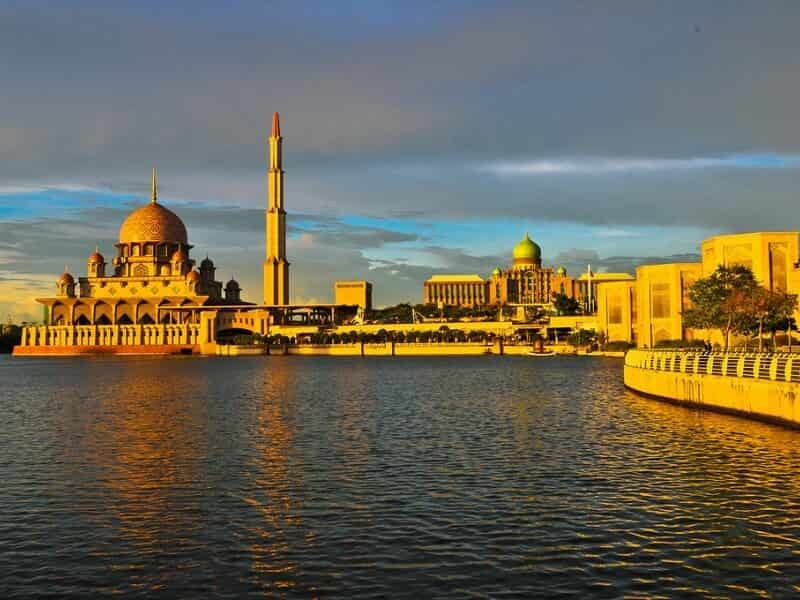 Our 7D6N Best of Malaysia Tour reveals the best that Malaysia has to offer from beautiful landscapes, gorgeous islands and attractive heritage architectures. The tour starts in Kuala Lumpur, a friendly melting pot of nationalities, religions and cultures and well worth a visit. We then visit Malacca, a vibrant old city with a unique historical. You will also stop in the renowned Batu Caves before travelling into the Cameron Highlands, marvel at the rolling hills and tea estates. Upon arrival in Penang, explore fascinating temples and traditional buildings. Welcome to KUALA LUMPUR, the capital and the largest city in Malaysia. Affectionately known as “KL” to locals, this beautiful city is a friendly melting pot of nationalities, religions and cultures and well worth a visit. The architectural styles, food, flavors and people in KL reflect her many different facets and faces. Upon arrival, you will be welcomed by our Asia Senses travel guide and driver, then be transferred to your hotel for check in. 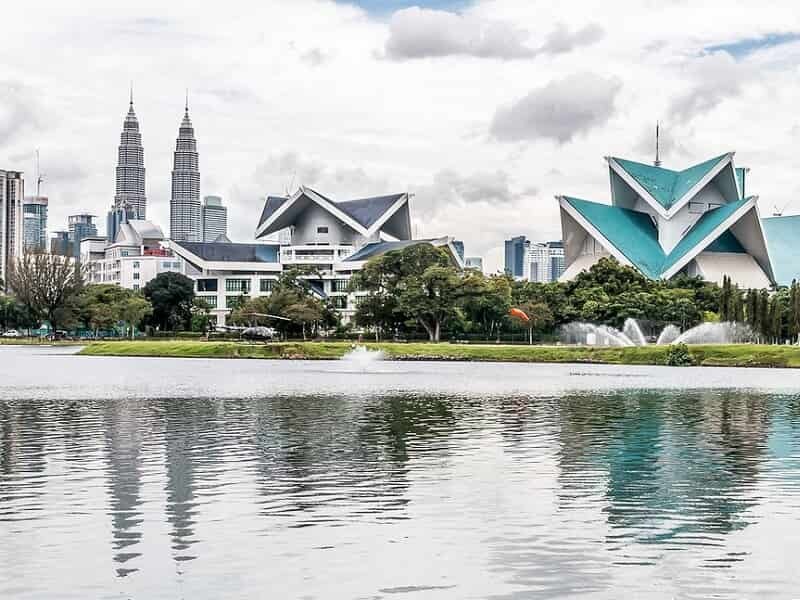 After freshening up and taking some time to relax, start your half day city tour which covers a colourful spectrum of Malaysian architecture, history, cultural heritages, crafts and lifestyle. The first destination is Thean Hou Temple, one of the largest Chinese temple in South East Asia and was officially opened on 3rd September 1989. After that, visit the Malaysia National Monument, a sculpture that commemorates those who died in Malaysia's struggle for freedom, principally against the Japanese occupation during World War II and the Malayan Emergency, which lasted from 1948 until 1960. The tour also includes photo stops at the Gate of the King’s Palace, Merdeka Square & Royal Selangor Club. 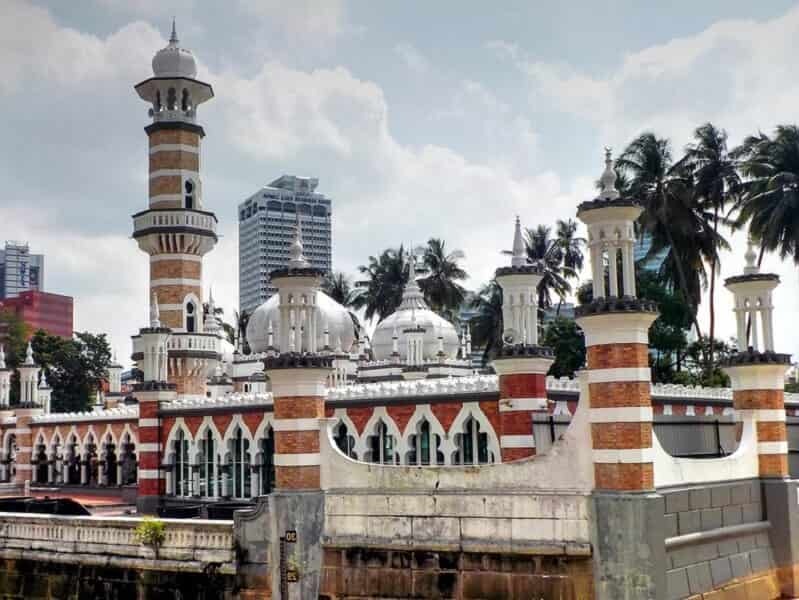 During the tour, we also pay short visits to Petronas Towers, the Moorish-style Railway Building and National Mosque. Transfer back to your hotel and spend the rest of day is free at leisure. After breakfast at the hotel, drive to the historical town of MELAKA which is just a two hour drive (136 km) from Kuala Lumpur. Melaka or Malacca has a varied history, having been colonized by the Portuguese, Dutch, and British, and as such you will find influences from all of these former colonial powers in the food, architecture, and even the language. 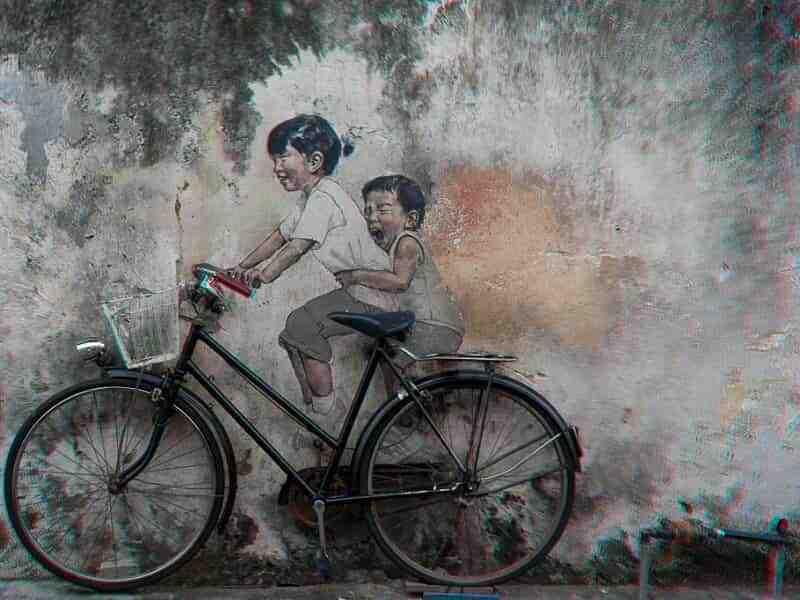 This city is one of best places in Malaysia to uncover rich and varied historical heritage. Visit Porta de Santiago, one of the few oldest surviving remnants of European architecture in the whole of Asia. It is the last remains of what used to be a mighty fortress. Then head to other attractions like Stadthuys building, Christ Church, Clock Tower and the Queen Victoria Fountain. Then move to the Baba Nyonya Museum to learn about Peranakan culture which is prevalent in Melaka. Stroll on Jonker Street, or Jalan Hang Jebat, widely known for its harmonious blend of cultures as well as numerous historical sites. For lunch, you will be served authentic Peranakan cuisine which is a unique blend of Chinese, Malay and other Southeast Asian cultures. To end our today’s tour, take a riverboat cruise up the Melaka River, which is a great way to see the sights of Melaka at a leisurely pace, in comfort. As the day comes to an end, transfer back to your hotel in Kuala Lumpur then free at leisure. This morning, meet with your guide and driver at the hotel then depart on a scenic journey for Cameron Highlands, the most popular of the highland retreats in Malaysia. It takes around five hours to drive from Kuala Lumpur to Cameron Highlands. 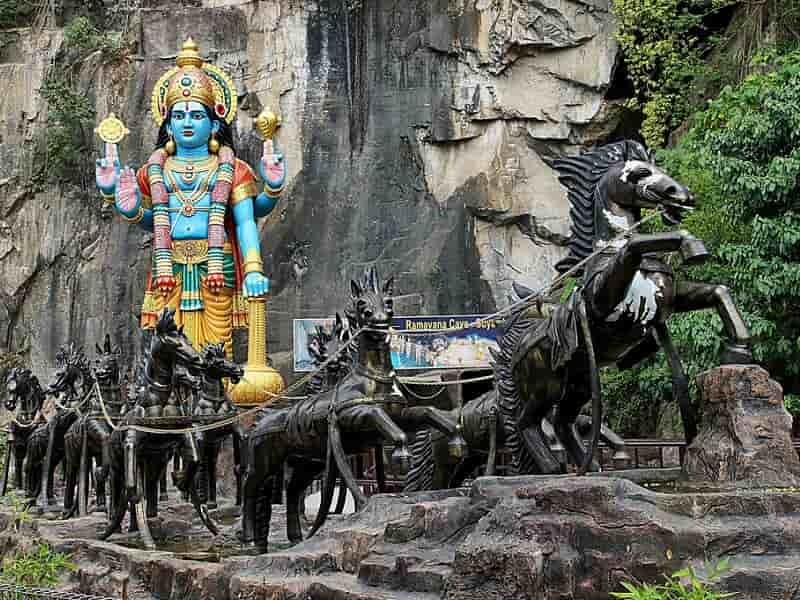 On the way, stop at Batu Caves, the largest and most important Hindu temple in Malaysia. It attracts thousands of worshippers and tourists, especially during the annual Hindu festival, Thaipusam. En route, make a stop in charming town of Tapah which is home to Iskandar Waterfall and Kampung Orang Asli (Aborigines Village) where the original tribal population of Peninsula Malaysia can still be seen. Upon arrival in CAMERON HIGHLANDS, check in to your hotel. The remain of day is free at leisure. After breakfast, visit a well-known tea plantation and listen as your guide shares the story of tea processing, from seeding to farming to cultivating. Try your own hand at picking tea leaves at the local farm. Wander around a strawberry farm and stop at Rose Valley, a colorful collection of more than 450 species of the fragrant flower. Then head back down to the lowlands for a visit to Bukit Merah. Along the way, stop at Sam Poh Temple, the fourth largest Buddhist temple in Malaysia, where you can catch glimpses of praying monks and savor the lingering aroma of burning incense. After arriving in BUKIT MERAH, take a boat across Bukit Merah Orangutan Island that houses a research centre for orangutans. This center plays an essential role in building local conservation capacity by showing visitors to various aspects of primatology such as primate behaviour and ecosystem, captive care and veterinary medicine, and, conservation biology. Have a look at these charming critters. 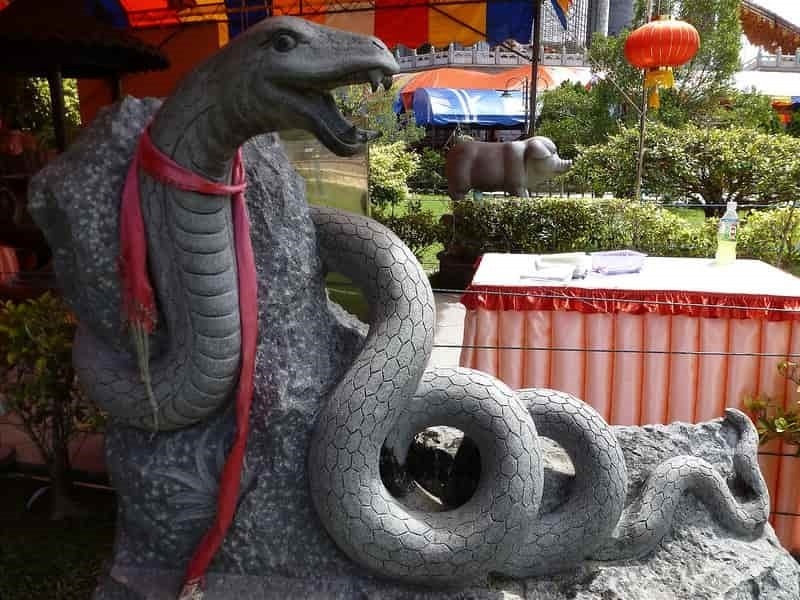 Arrive in PENANG, pay a visit to the famous Snake Temple for a daring and almost unbelievable temple experience. Upon arrival at your hotel, check in to your room and relax. Overnight at hotel in Penang. Today, head out on a tour of the UNESCO Heritage city of Georgetown’s main attractions. 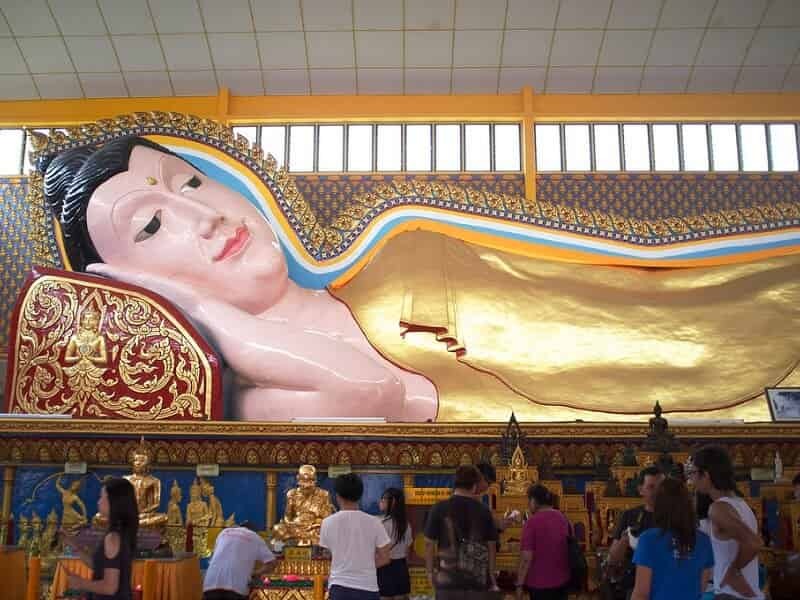 Our first stop is the Reclining Buddha Temple (Wat Chayamangkalaram) which is considered to be the 14th biggest reclining Buddha in the world. Then visit Dharmikarama Burmese Temple, a beautiful Burmese Temple and the oldest Buddhist temple in Penang. Other destinations include Khoo Kongsi, a beautiful Chinese Clan House and the Baba & Nyonya Mansion, a picturesque museum near the beautiful St. George's Anglican Church. There is also an opportunity to visit Kek Lok Si Temple, one of the largest and finest temples complexes in Southeast Asia. After the Penang city tour, travel onwards to BANDING ISLAND, also known as Pulau Banding, it is a man-made island located within Tasik Temenggor in the state of Perak. Upon arrival, check into the hotel then the rest of day is free at leisure. Overnight at hotel on Banding Island. From hotel, depart by boat to search for the elusive rafflesia flower, the largest in the world. With no roots, shoots, stems, or leaves, this parasitic plant is stealthy, visually undetectable until it prepares to bloom. Afterwards, proceed through the “elephants trail” to reach the Salt Lake. Here, we keep an eye out for wildlife, as the area is known to attract animals come to enjoy the mineral deposits of the lake. The packed lunch will be served next to a jungle waterfall. Then take a dip in its refreshing pool. 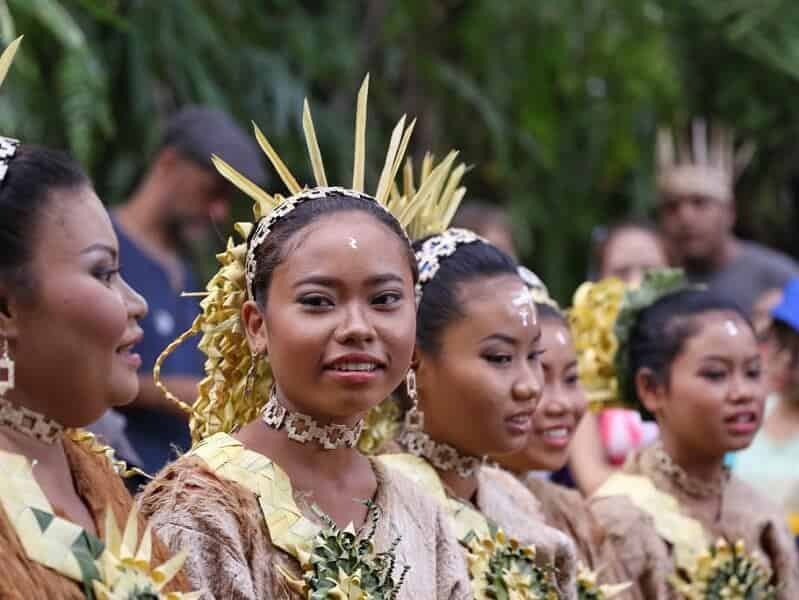 Before heading back to the hotel, make a stop by an Orang Asli Village for a unique cultural experience. This morning, you will be transferred to Kota Bharu for your onward journey or, alternatively, head directly to the airport to catch a flight to your next destination.